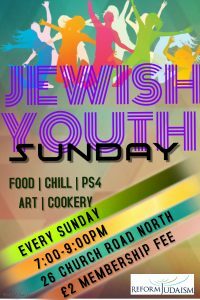 As a synagogue we aim to provide opportunities for our children and young people within a wide social and educational framework for their early and teenage years. 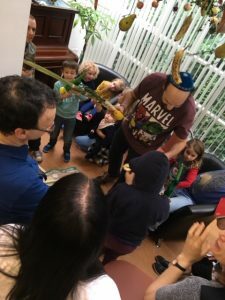 These include activities that are person-centred, experience-oriented, and interactive. 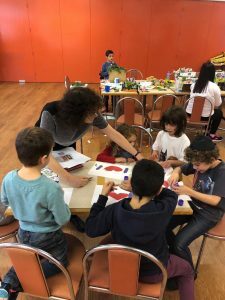 We provide activities that both promote a learning and experiencing community, a culture of education, and content that engages, and includes Jewish education and a curriculum focusing on the lifestyle and the identity of being Jewish. 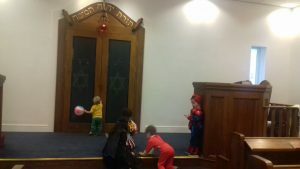 Our curriculum is designed around and based on Jewish values and the values of the Reform Movement, whilst also recognising that the young people are part of a wider British community. 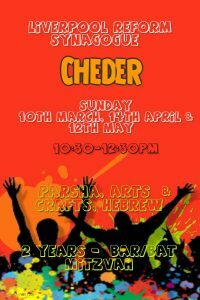 Cheder – 10.30am – 12.00pm on the 2nd Sunday every month during term time (King David, Liverpool Term dates).